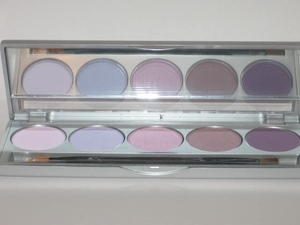 Five full-sized eyeshadows ranging from pastels to smoky in soft, flattering shades of purples and pinks. Comes in platinum, mirrored case with double-ended brush. Can be worn wet or dry.